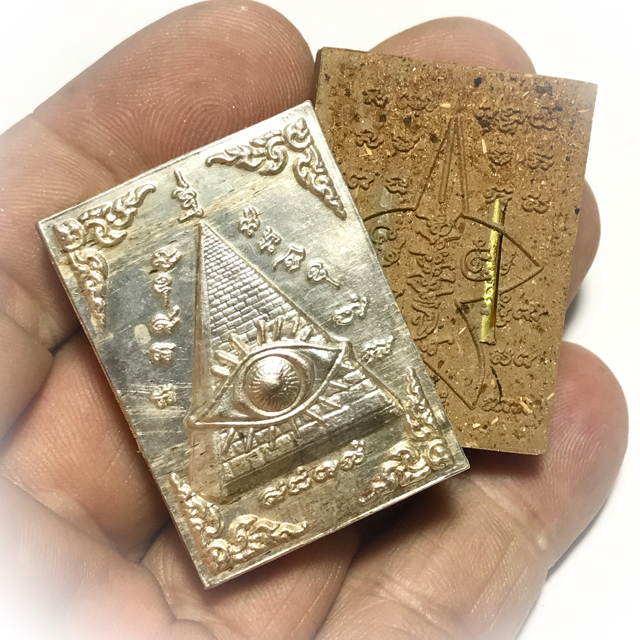 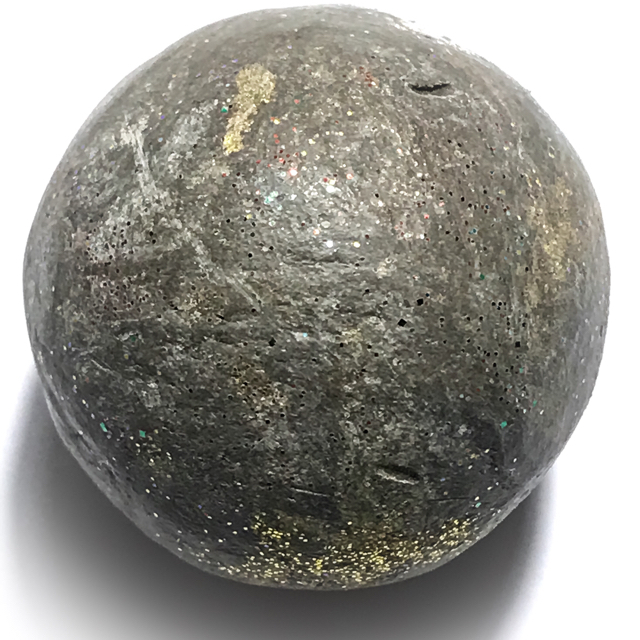 Made from sacred alchemical brazen metals, smelted together from ingots of smelted ancient artifacts, made into blocks. 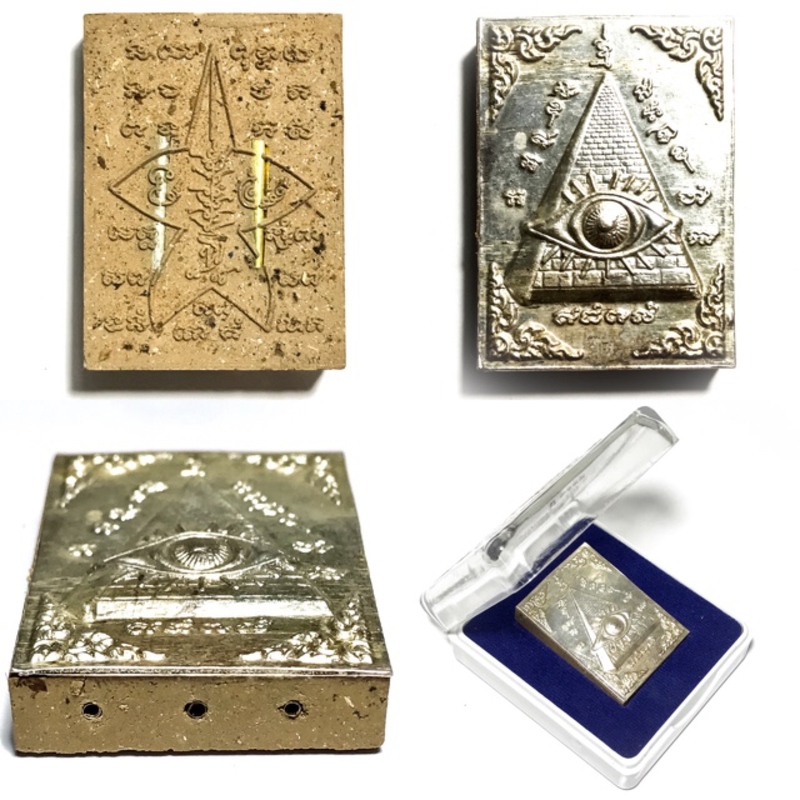 The blocks are then covered, with inscriptions of magic spells and sacred geometry pentacles (Yant). 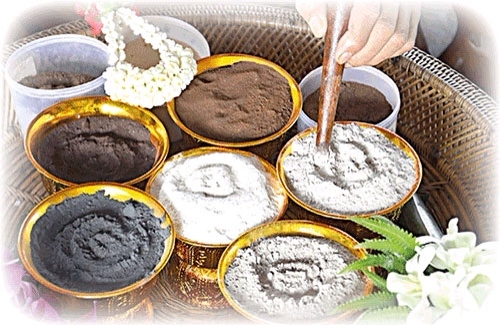 Sacre Necromantic Bone and Ashes powders and Nam Man Prai of a Mae Nang Prai Tang Glom mother and child Hoeng Prai Ghost. 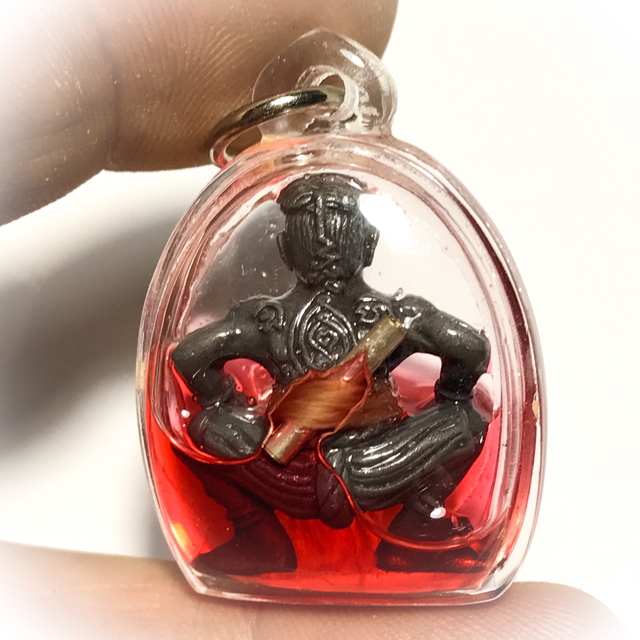 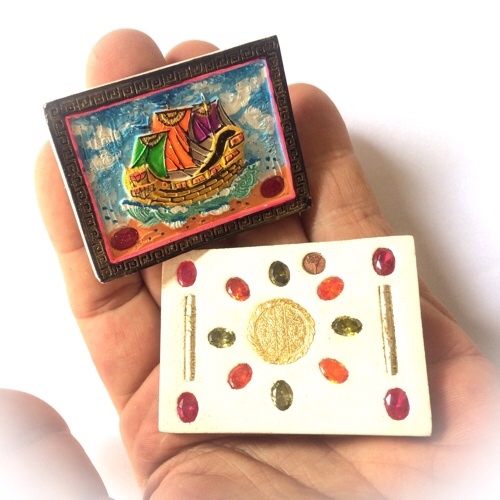 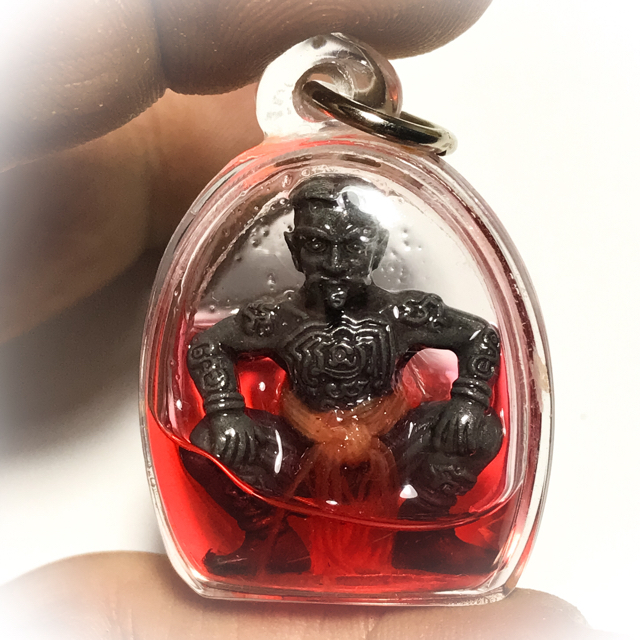 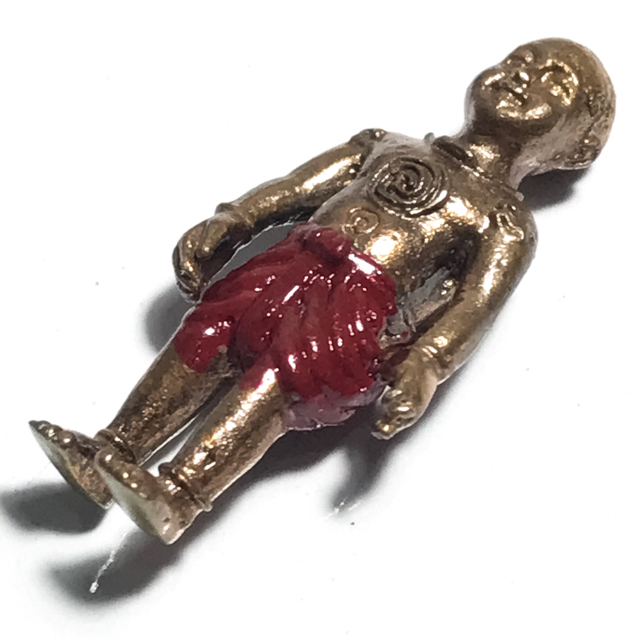 Pra Ajarn Supasit of Wat Bang Nam Chon has made these small portable and extremely finely honed and crafted pieces of miniature Buddhist art as portable amulets, to carry your little spirit helper around with you throughout the day, and call upon him, to assist you in your activities. 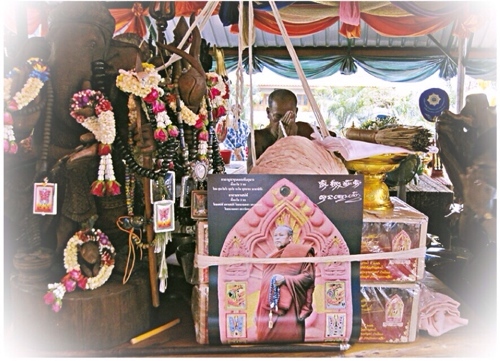 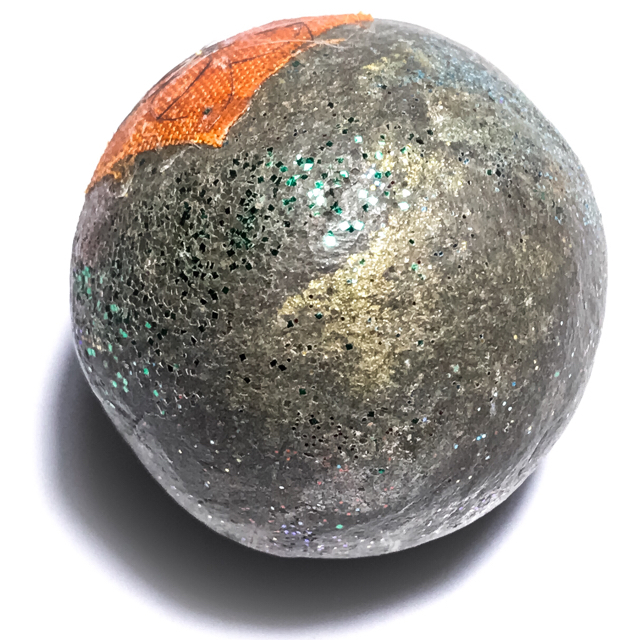 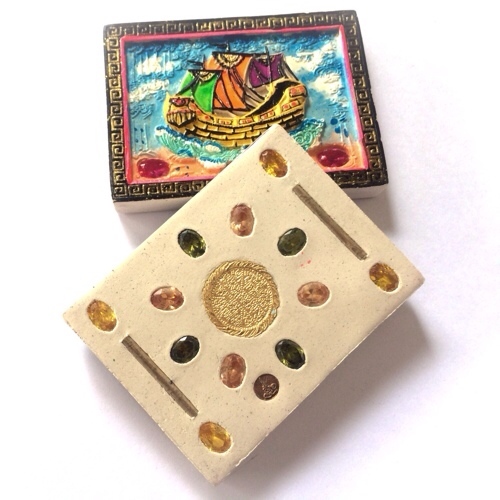 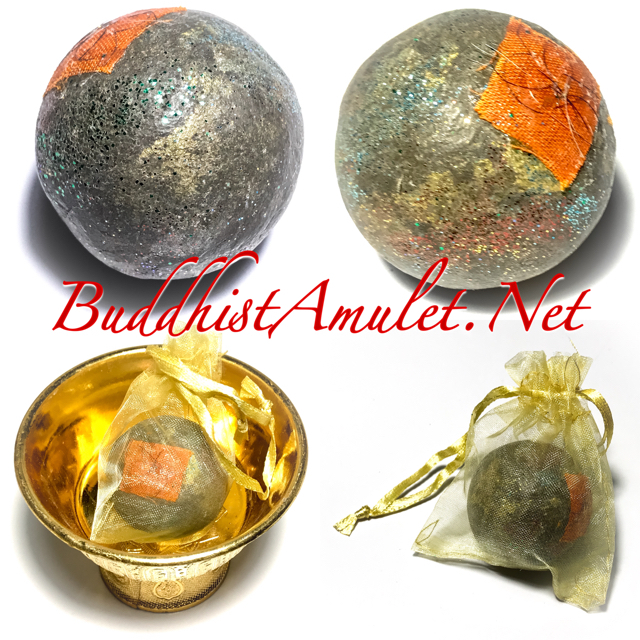 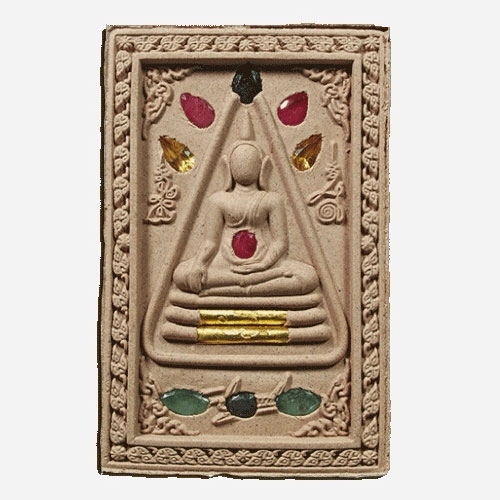 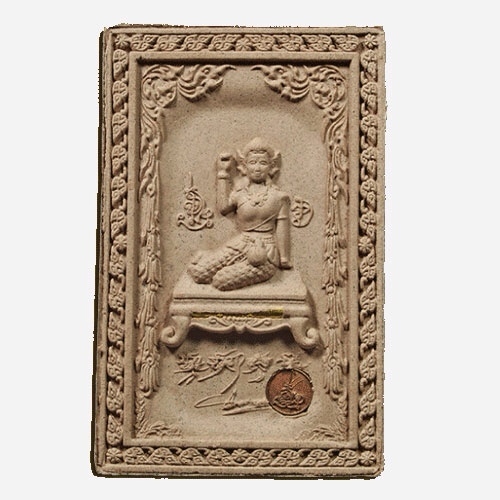 The Kumarn Tong Jao Samrit is useful for assisting in all kinds of activities, such as gambling, seduction, and sealing deals, making sales in the professional executive management corporate business, and commerce. 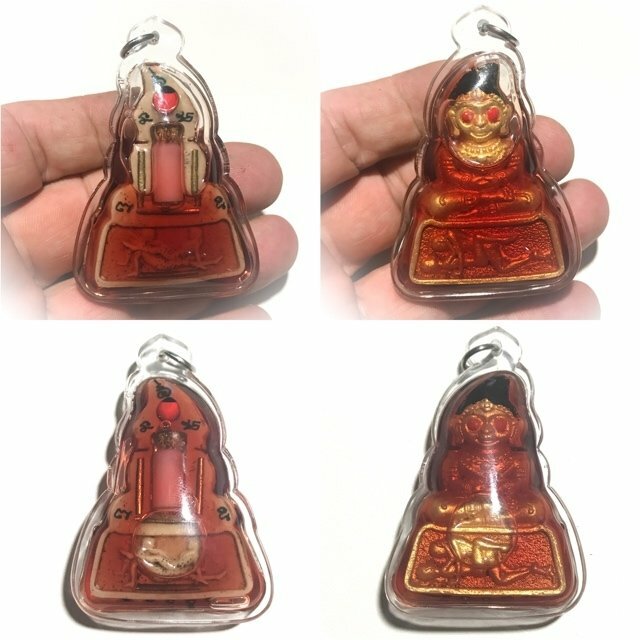 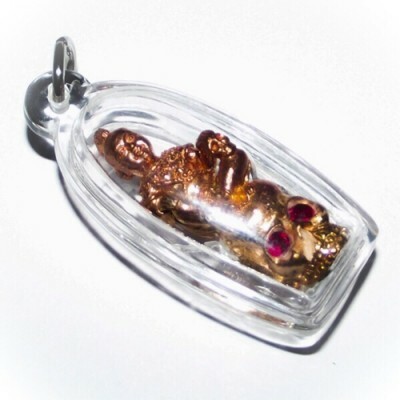 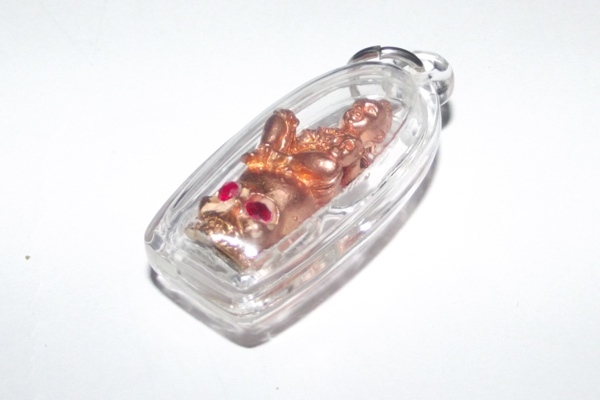 Because this spirit ghost is accompanied by the ghost of a Hoeng Prai Grasip, which has been invoked to accompany the child’s spirit, The amulet hence possesses the power to whisper hints and give forewarnings of lucky streaks, and numbers, for use in gambling, and lottery, and even of dangers to be avoided. 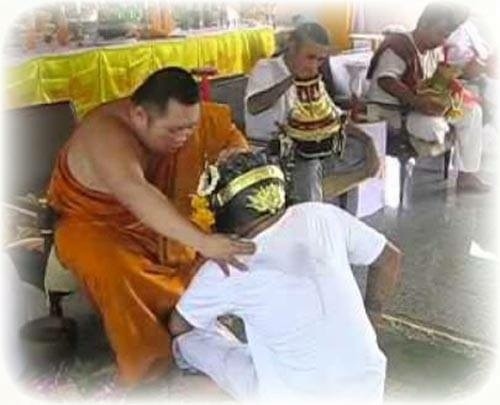 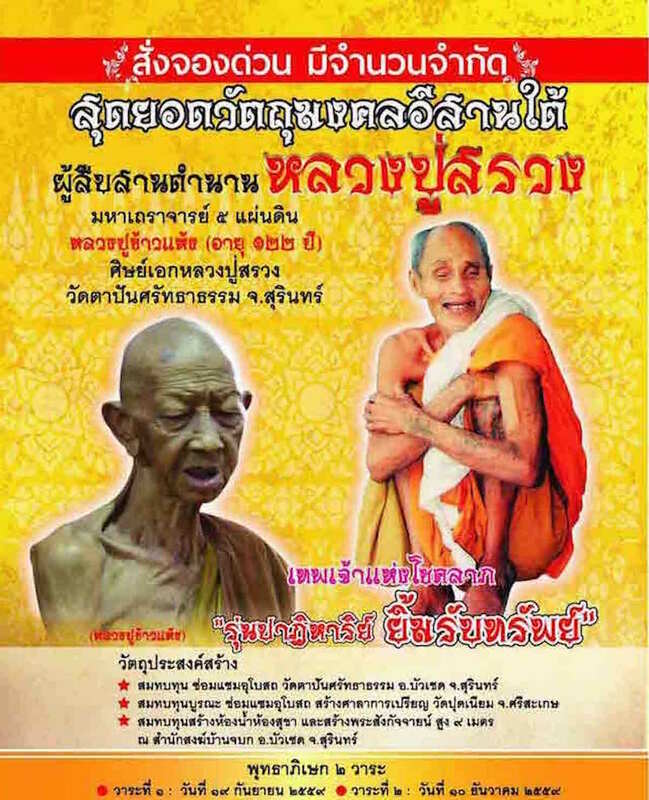 The word ‘samrit’ is a word play with the word ‘samrej, related because Thai language was derived from Pali language, and Devanaghiri Sanskrit. 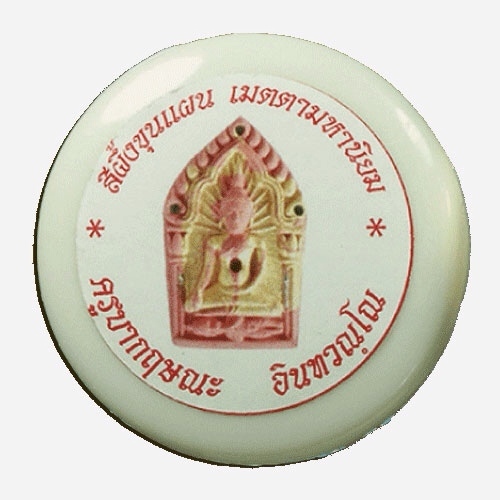 As far as our written characters in Thailand consumed these were created using the traditional Sanskrit lettering and also incorporation of Khmer Sanskrit letters too, for their written language, to adapt into a written Thai script, and even embellish upon an incorporated within their written language. 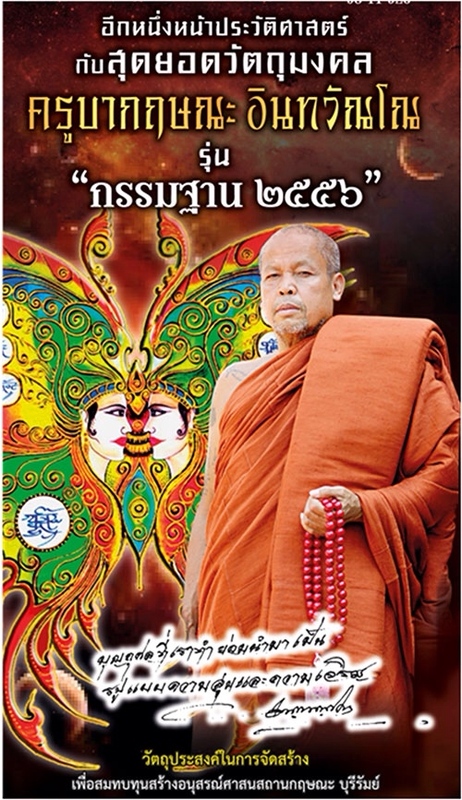 Actually, the two words were made out of what was initially one basic concept. 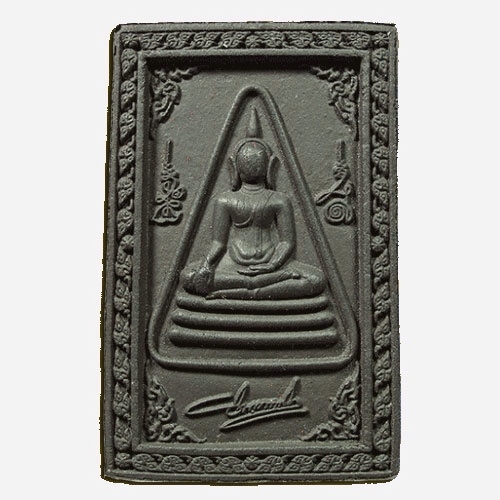 ‘Samrit’ means bronze, whereas ‘samrej’ means, to have completed one’s goals, and attained success. 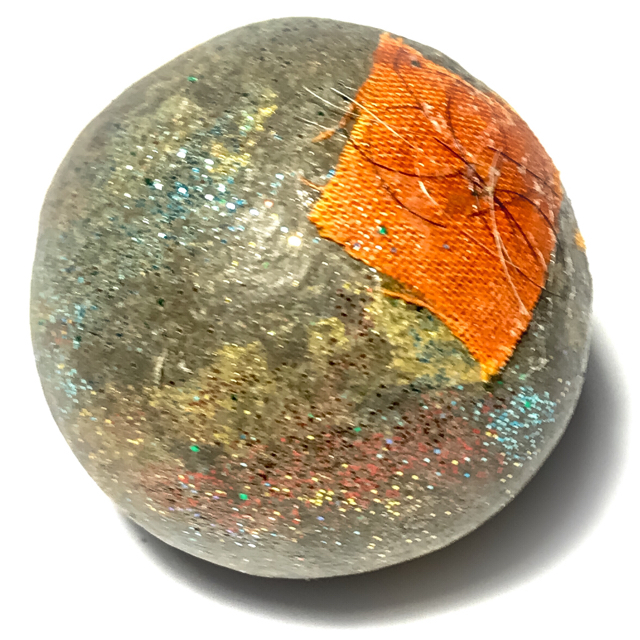 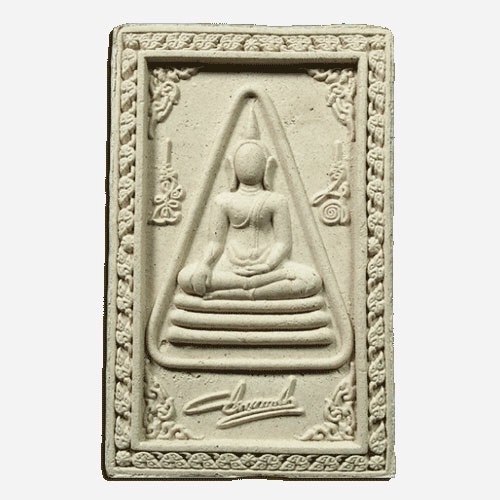 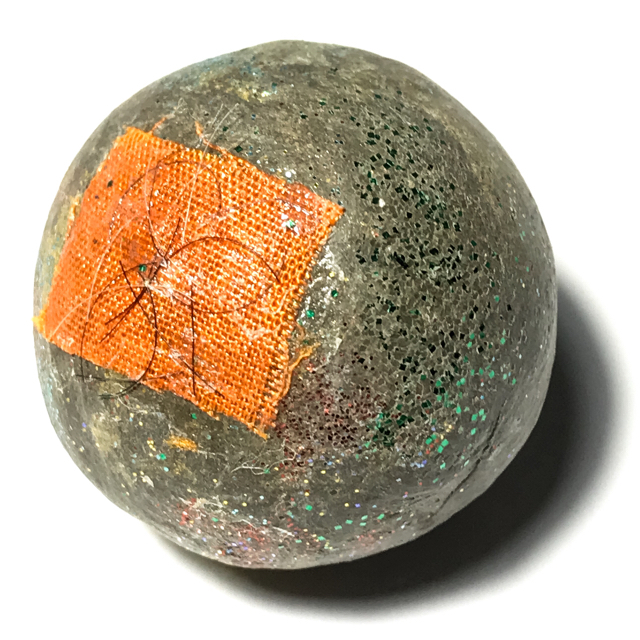 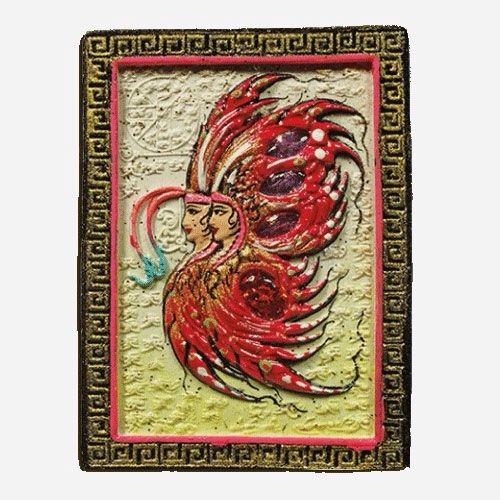 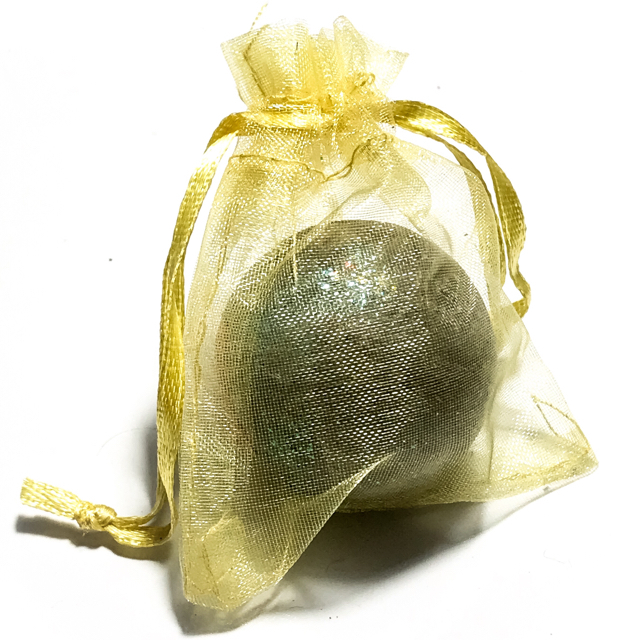 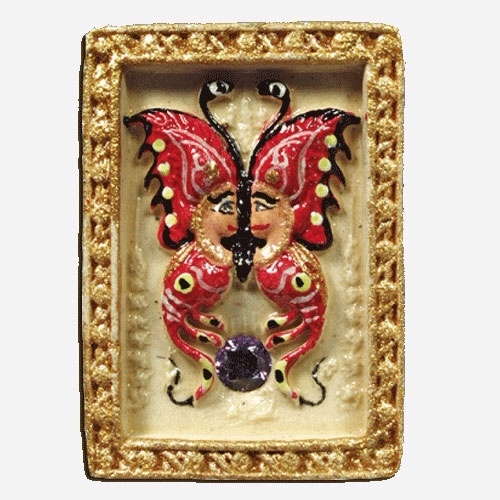 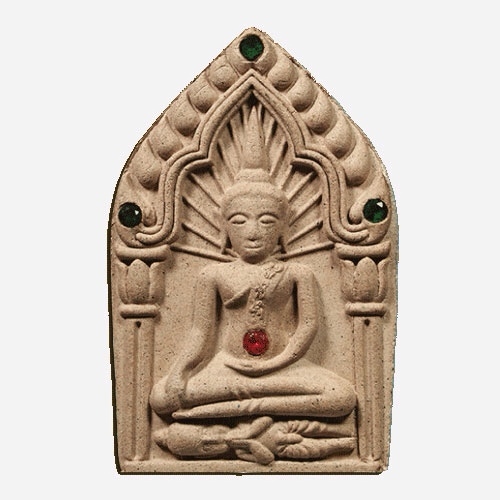 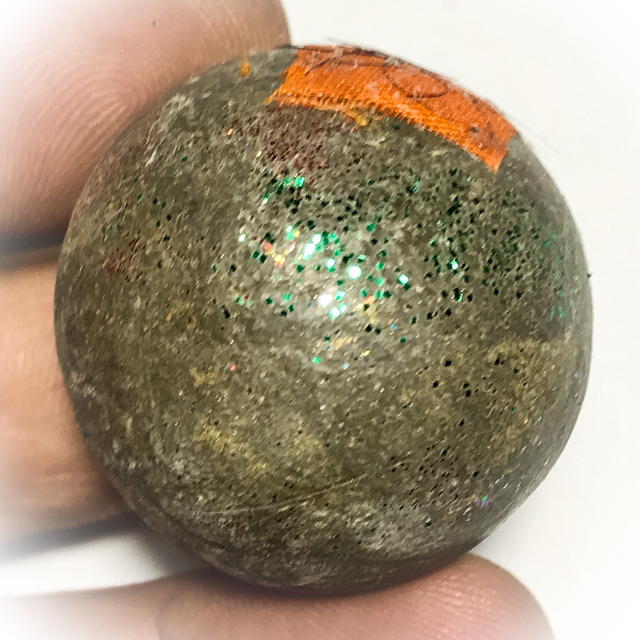 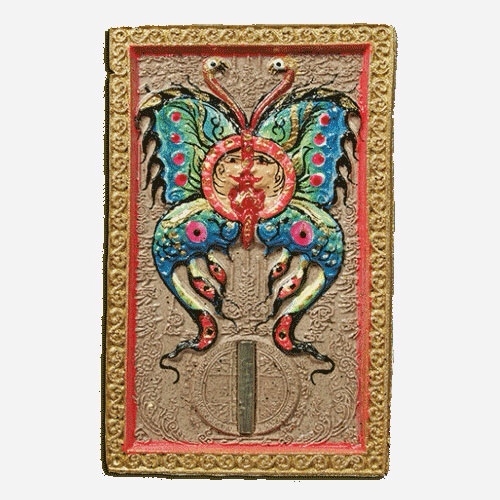 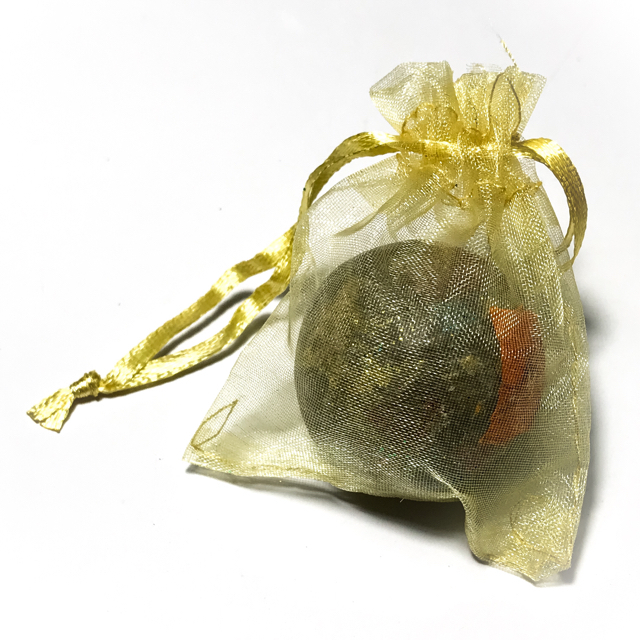 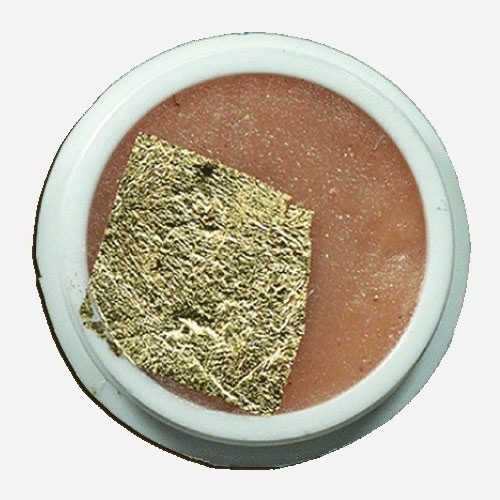 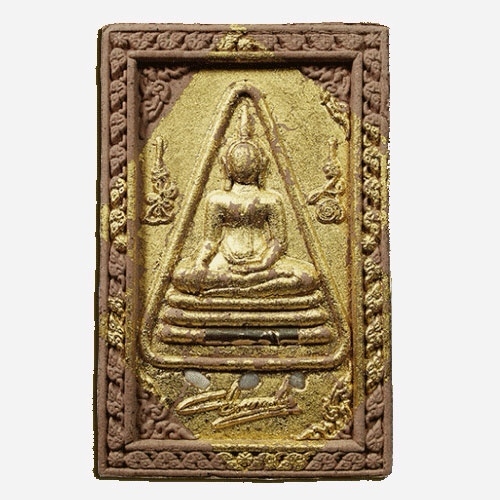 Professional, economic, and social success, is therefore the goal of this amulet. 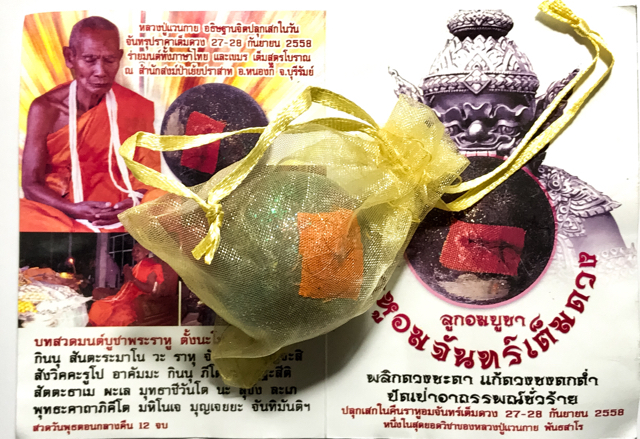 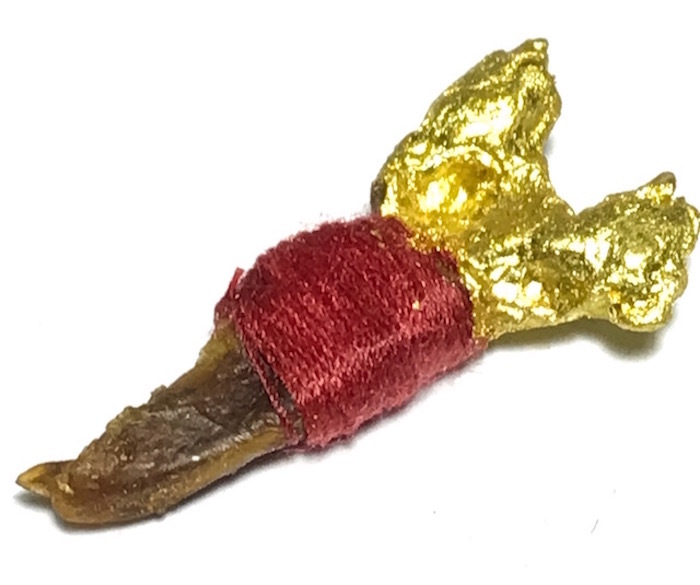 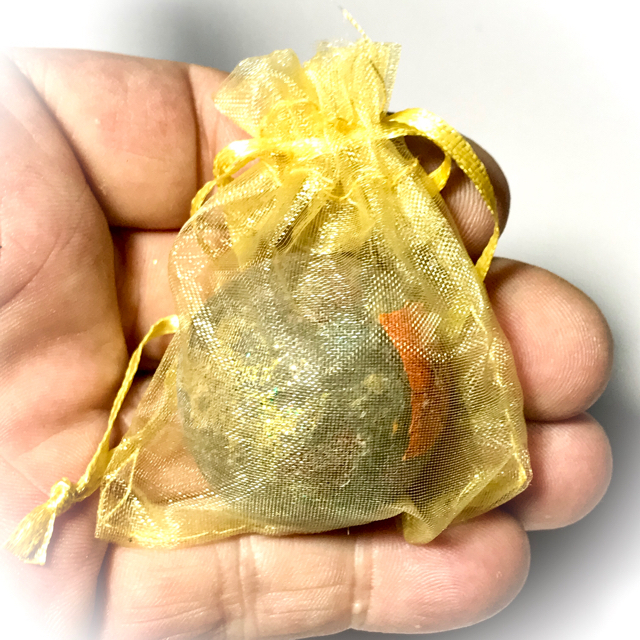 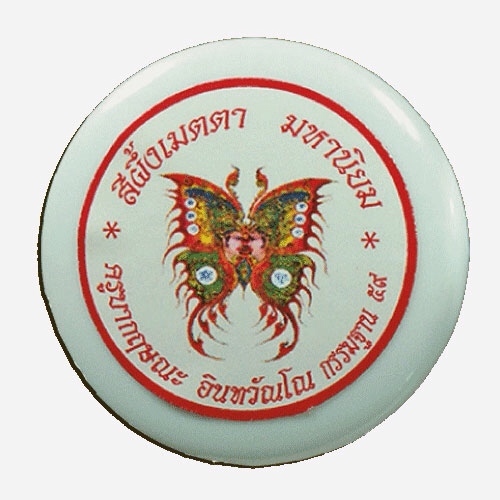 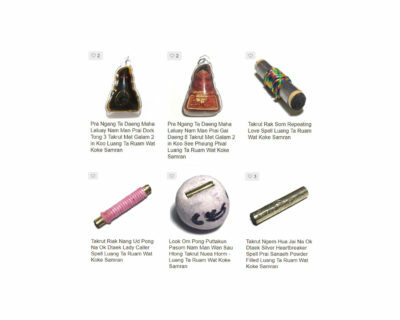 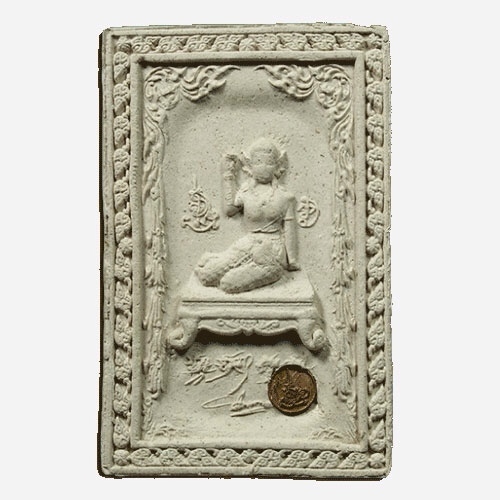 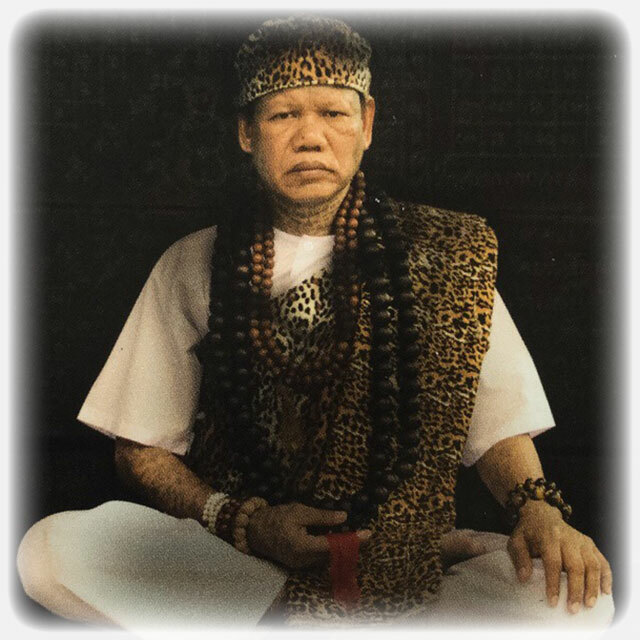 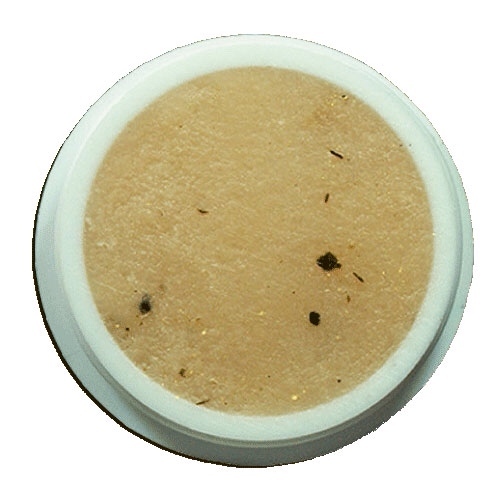 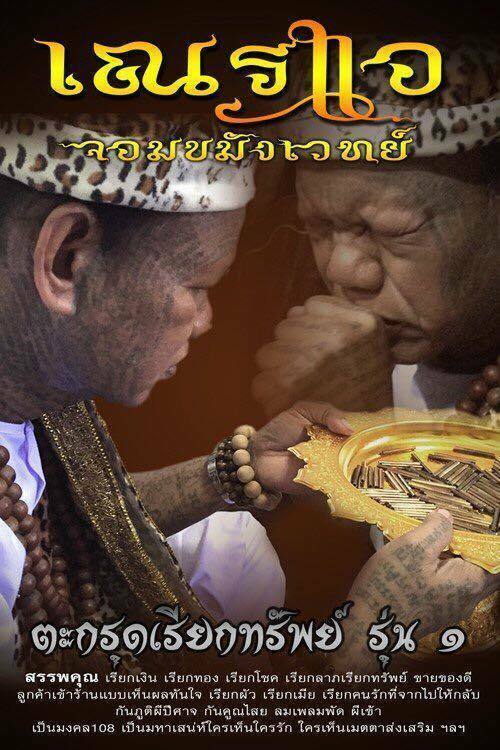 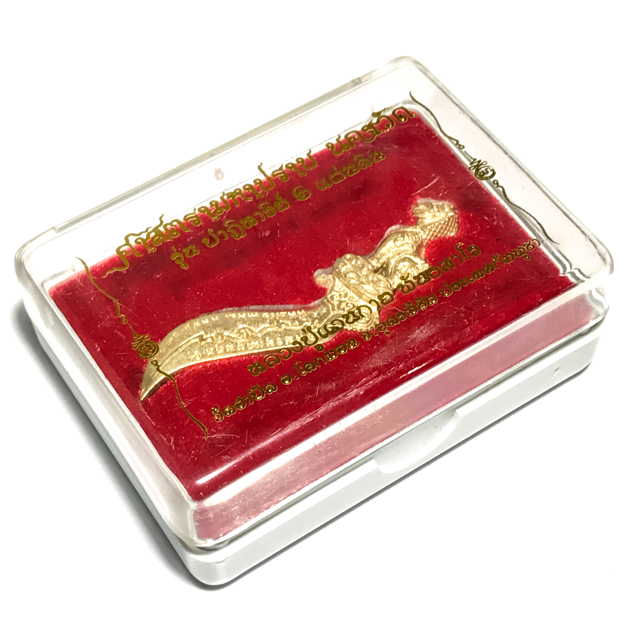 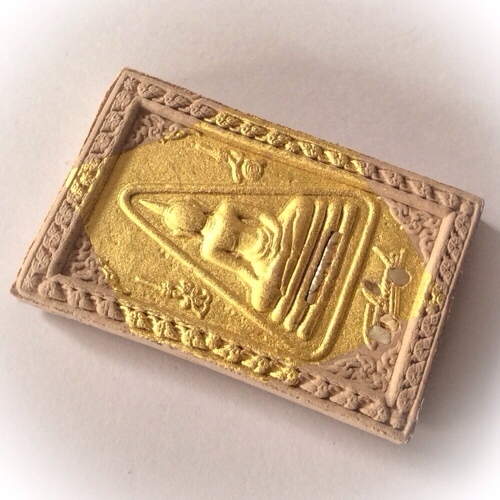 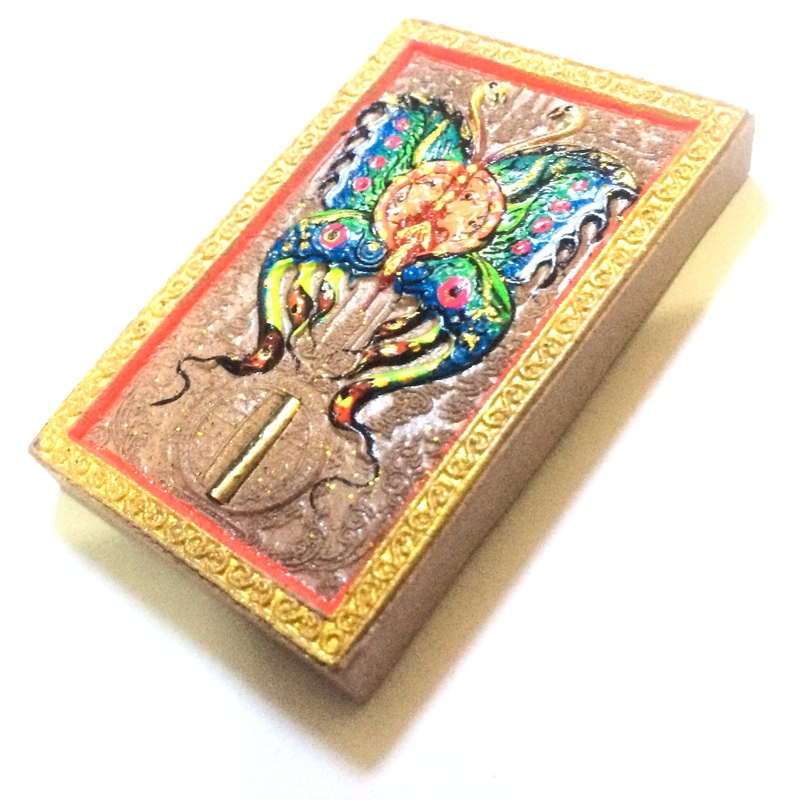 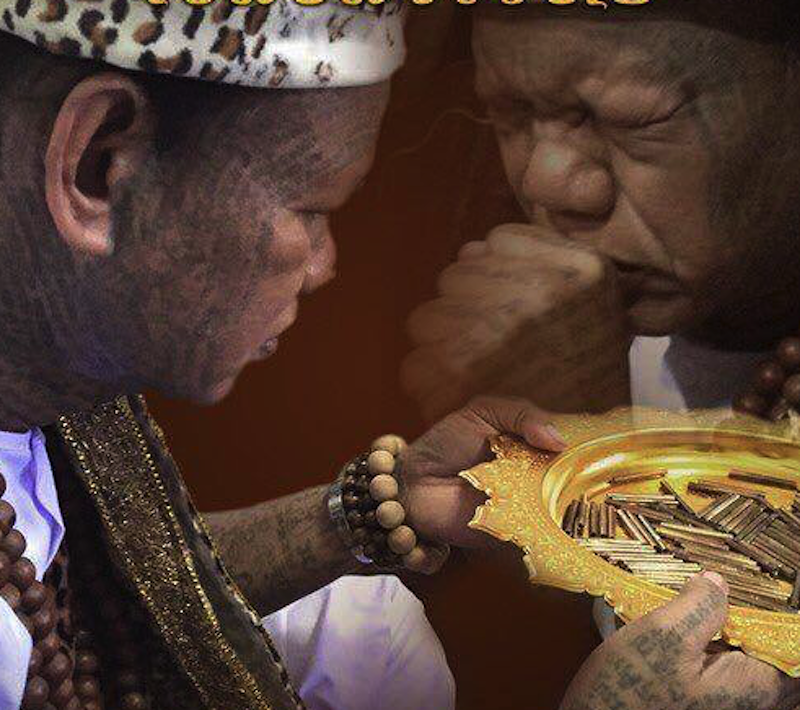 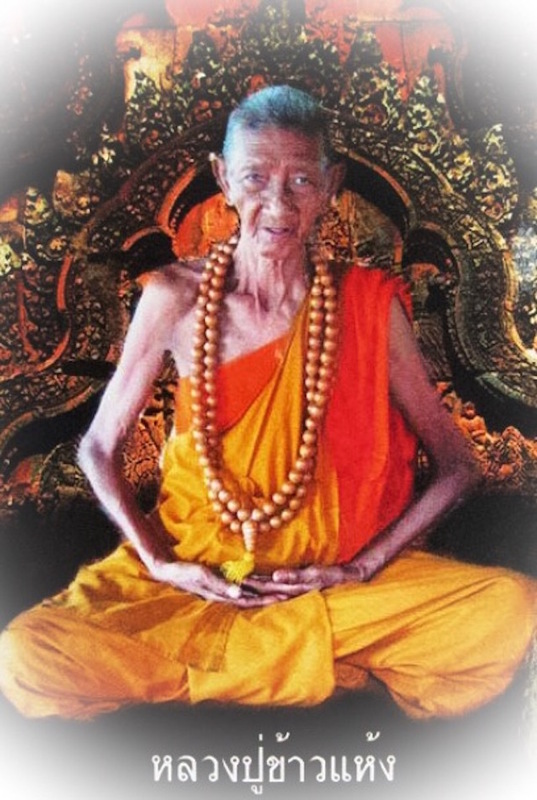 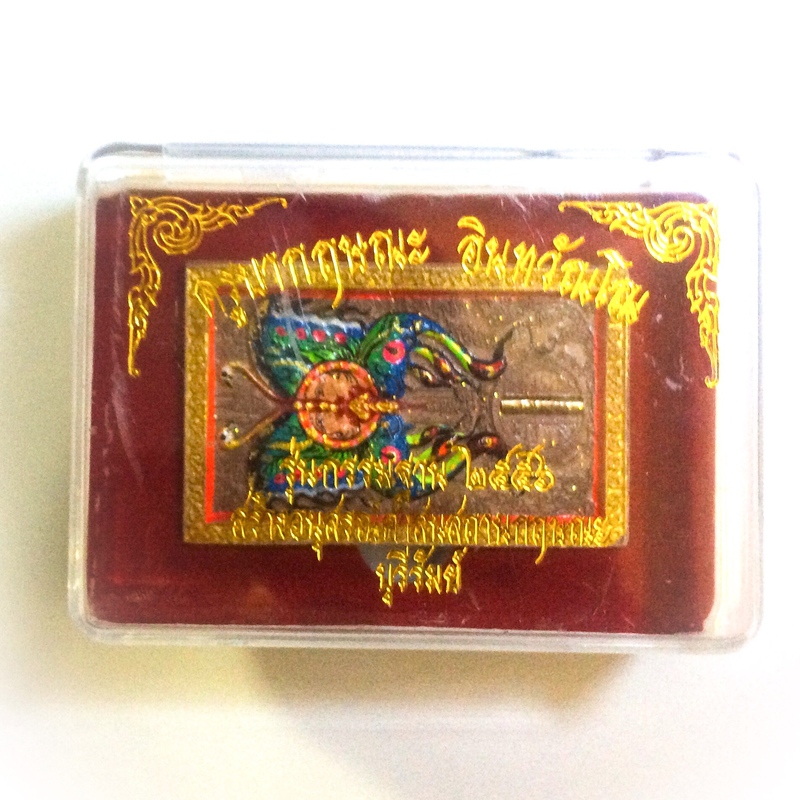 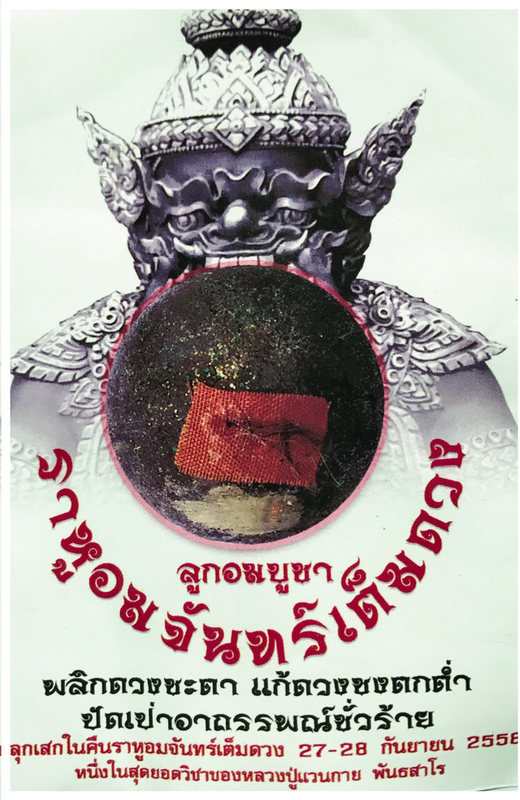 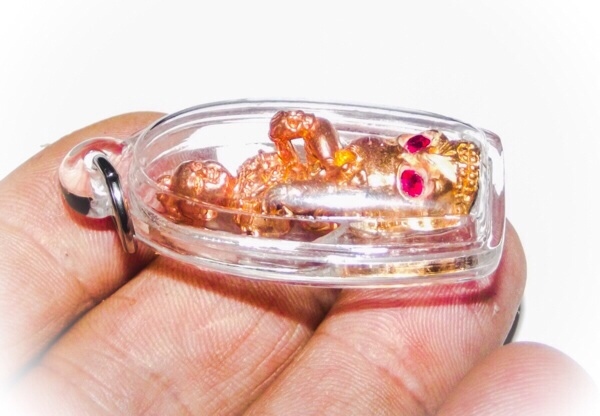 Kumarn Tong by Pra Ajarn Supasit of Wat Bang Nam Chon – especially recommended to ladies, for its small portable size, and also an excellent amulet, for all Gamblers. 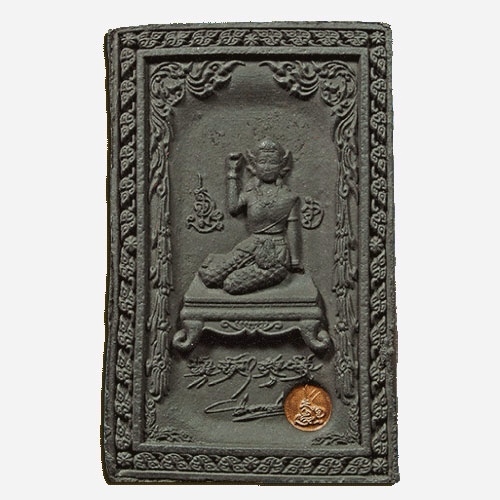 Pra Ajarn Supasit is known for making only incredibly small amounts of Amulets, each of which has its own series number and embossed code. 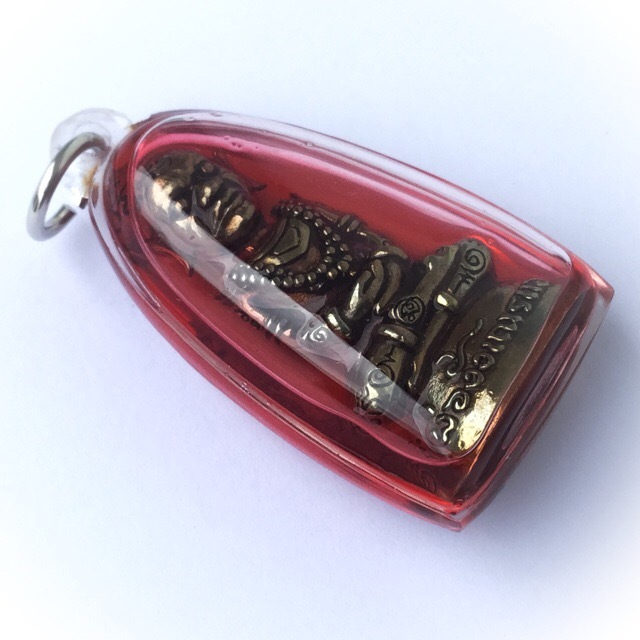 We cannot guarantee which number will be sent for this would make our administrative tasks too difficult. 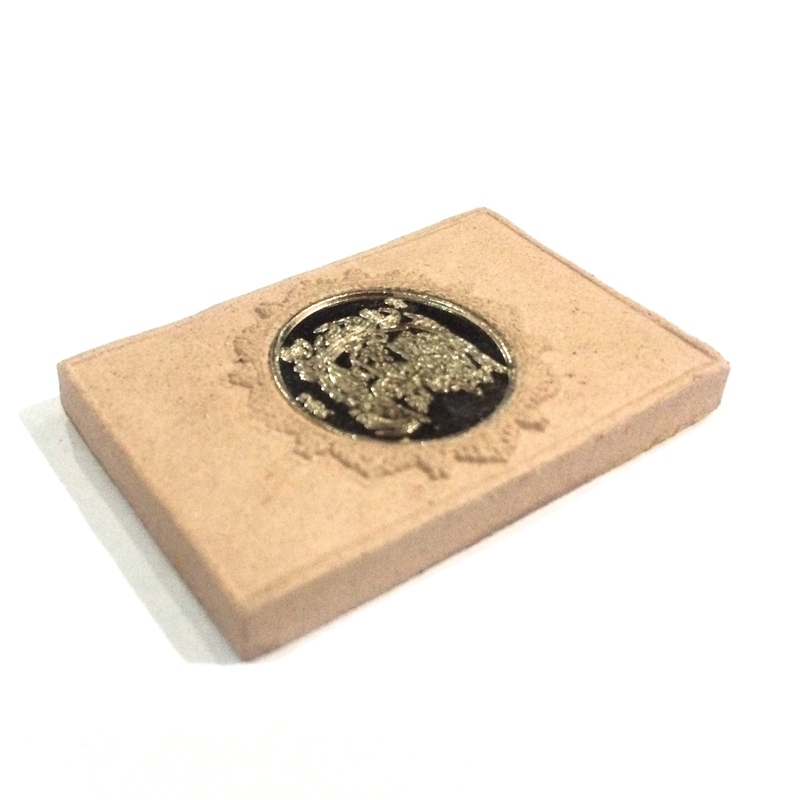 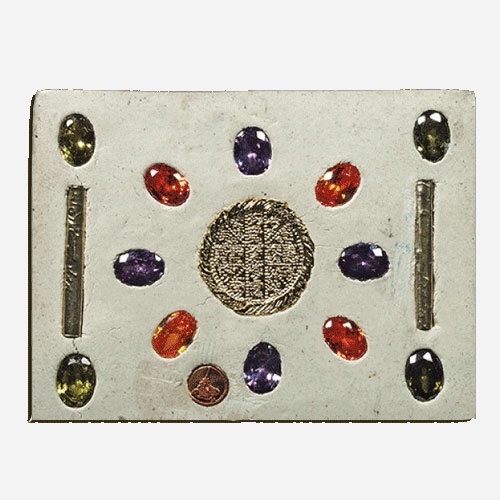 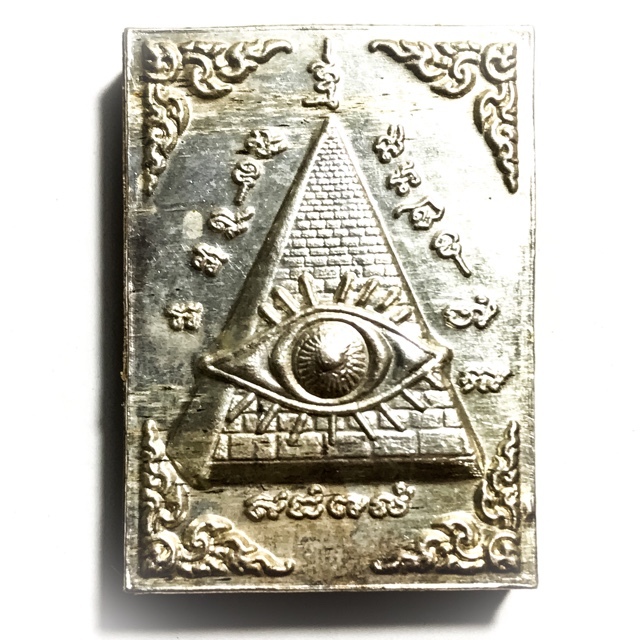 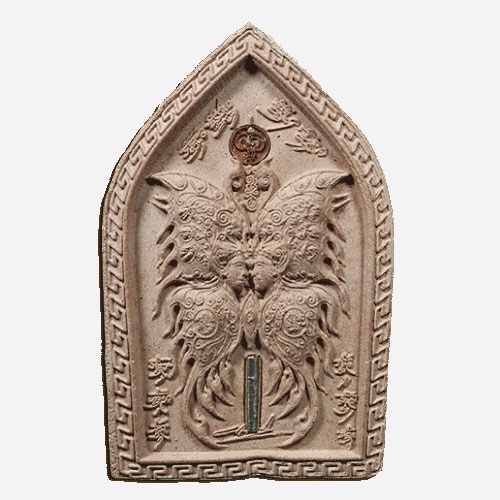 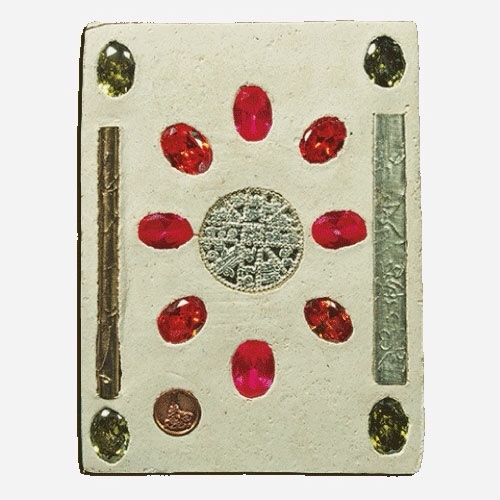 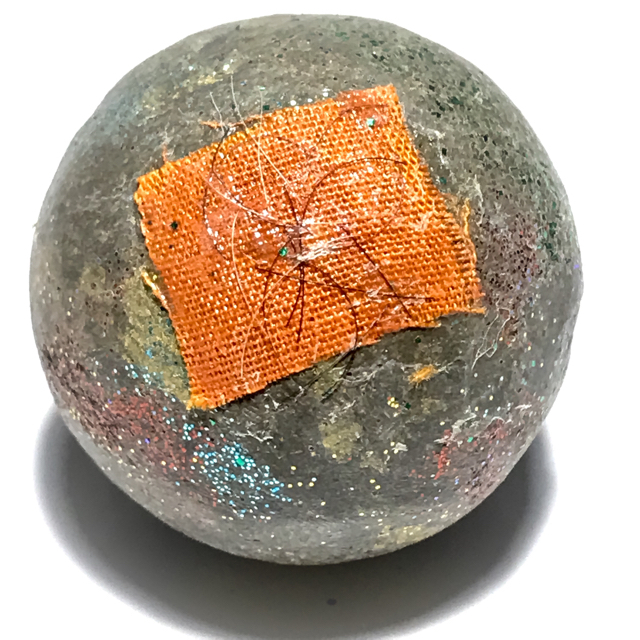 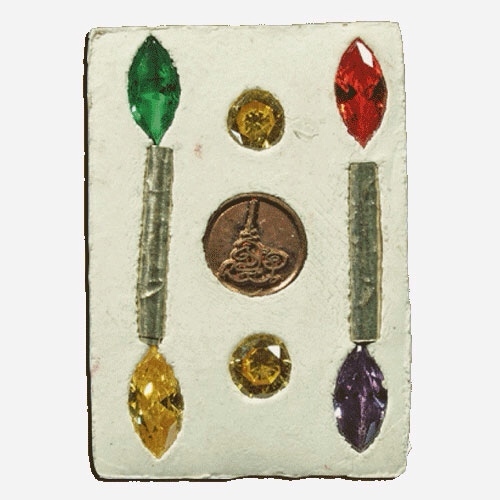 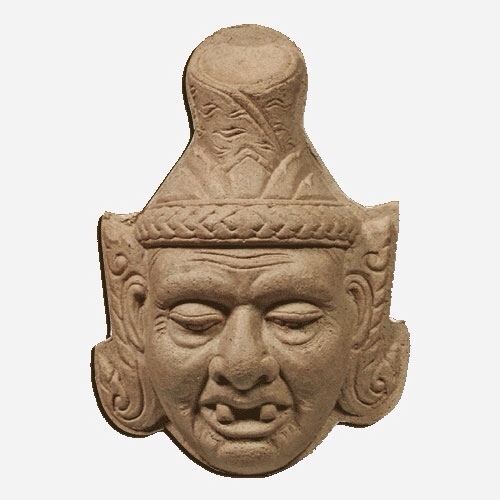 However, we guarantee each amulet is individual and it’s Series number is a mark of authenticity which can give you confidence in its speculative value in the future for its ease of authentication process through recognition. 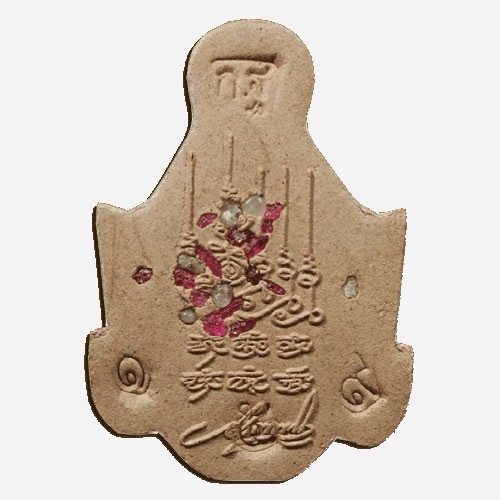 Rapidly increasing value type amulets almost always possess these codes which are of the publicized, and the secretly embossed method. 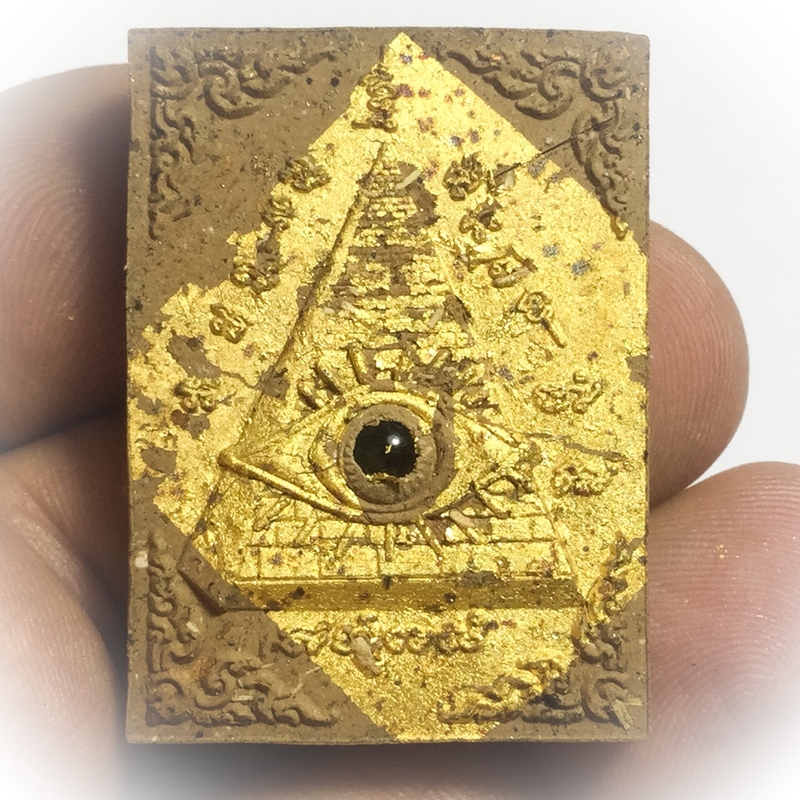 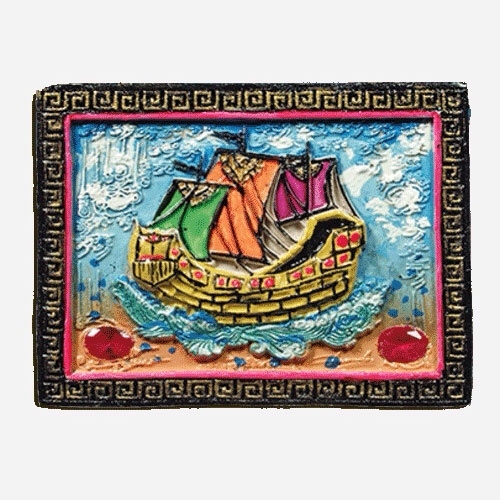 This is a great asset to his amulet collectors, for the presence of these inscribed recognition codes upon this amulet. 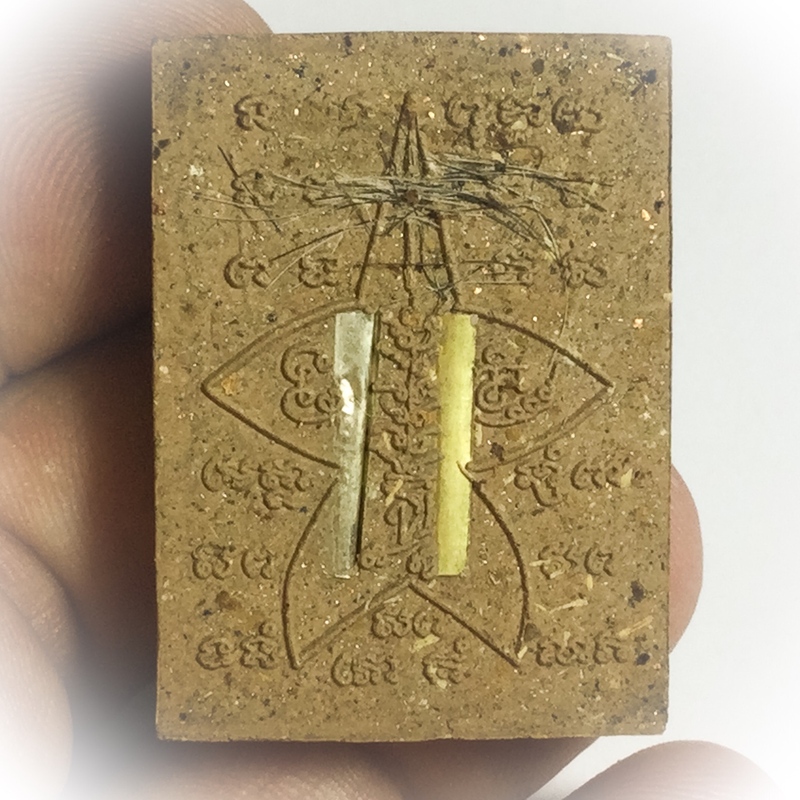 In addition this grandmaster, only focuses on making small numbered editions, of coded series amulets, which all have immensely high-quality artistic & original designs, as well as high-powered ingredients of magical origin. 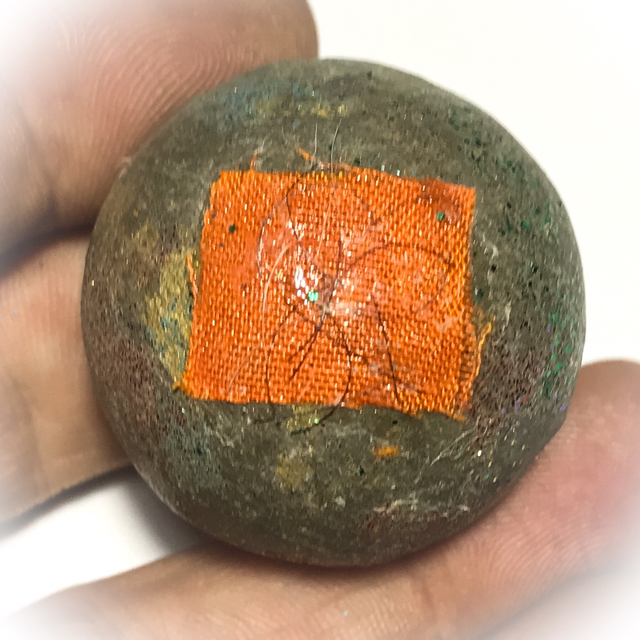 Please note; some of the photos in this post, show a slight crack in the surface of the casing. 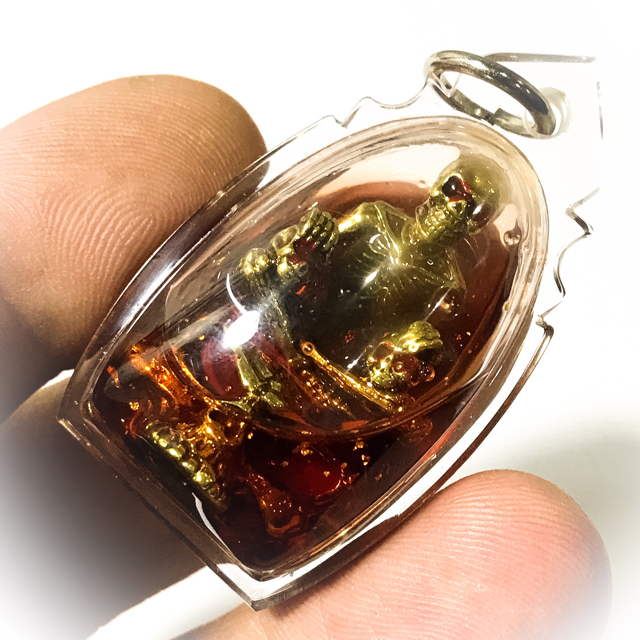 We apologize for not having noticed during the photo shoot, but we guarantee that all amulets send will not have any cracks in the casing. 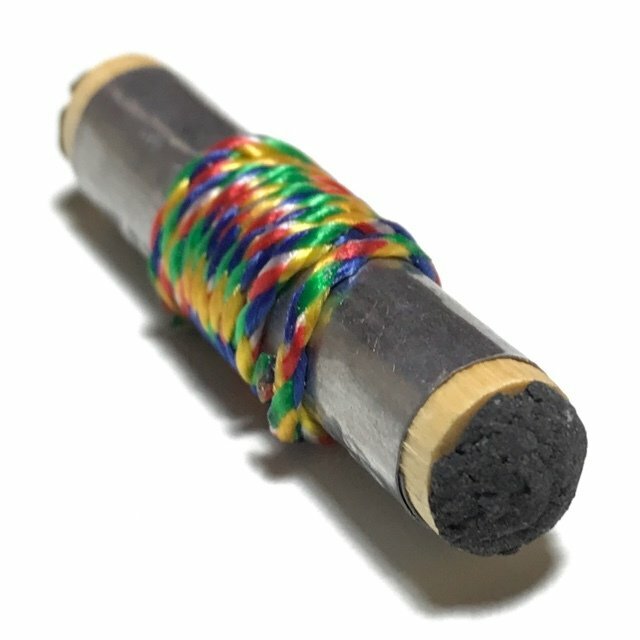 It was just not noticed during the time we were making the photos. 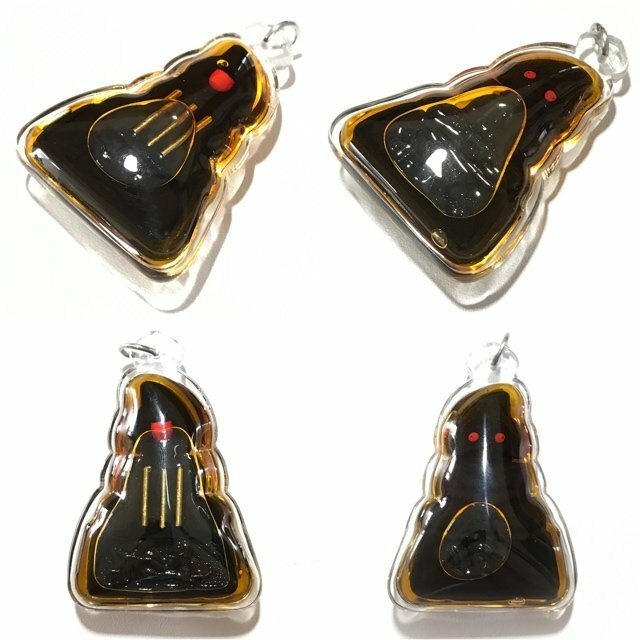 All I mean let’s will have perfect casing when they arrive. 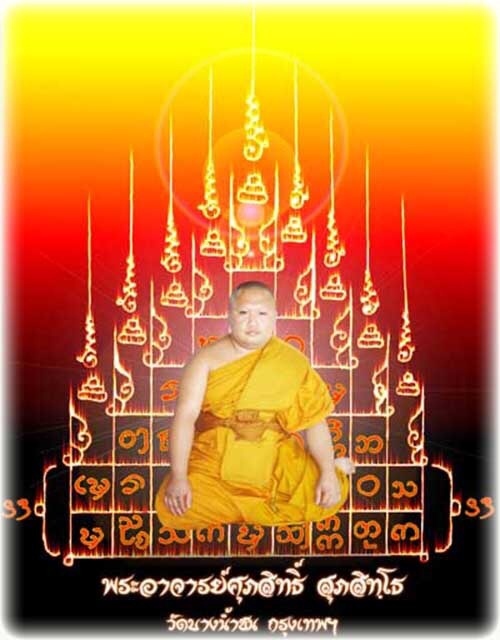 When you go places or enter and leave buildings you should speak to the Kumarn in your heart to accompany you. 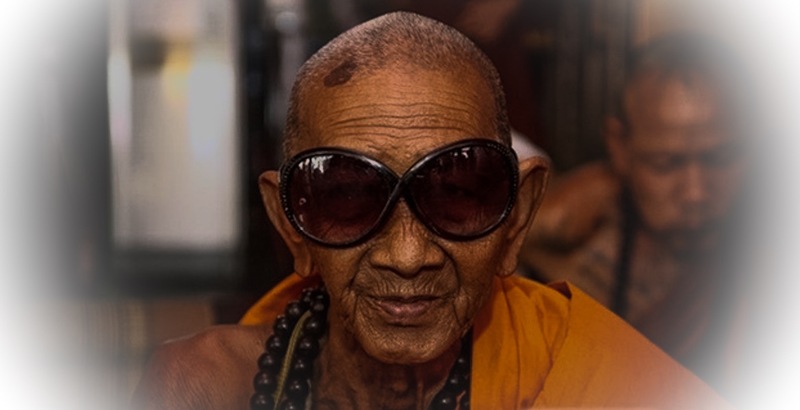 When you eat, you should speak in your heart that the Kumarn should come to eat with you. 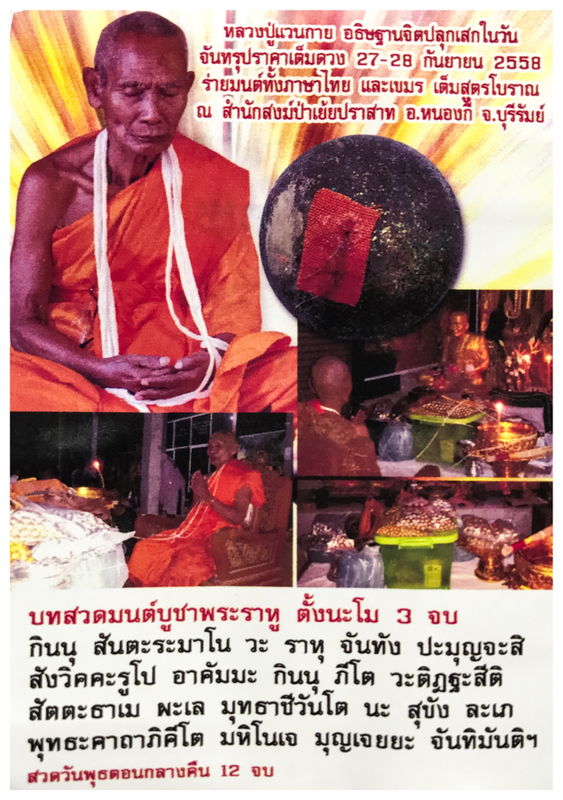 Make a separate offering do not give from your own plate. 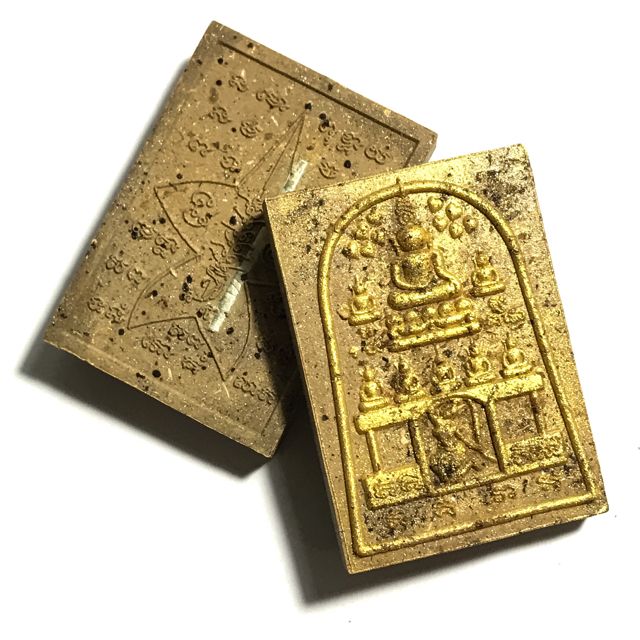 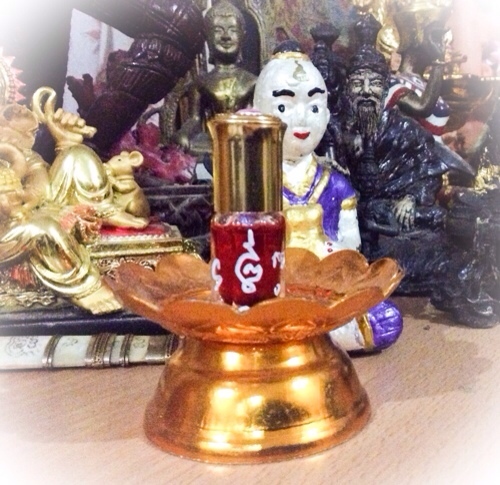 Kumarn Tong Jao Samrit – Golden Child with Prai Grasip Whispering Gambling Ghost of Hoeng Prai Deva.